Another yarn has grabbed me, dragged me into it’s lair, and had it’s way with me! Swoon! 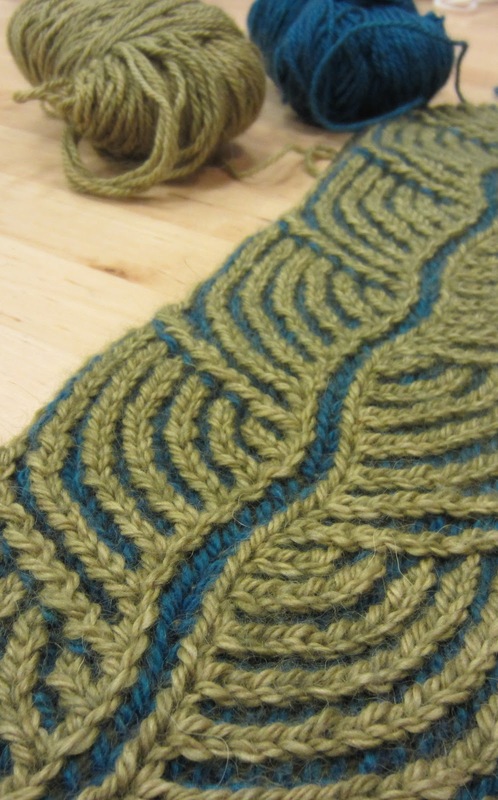 It’s the Hosta scarf by Nancy Marchant, published in the e-zine Twist Collective. 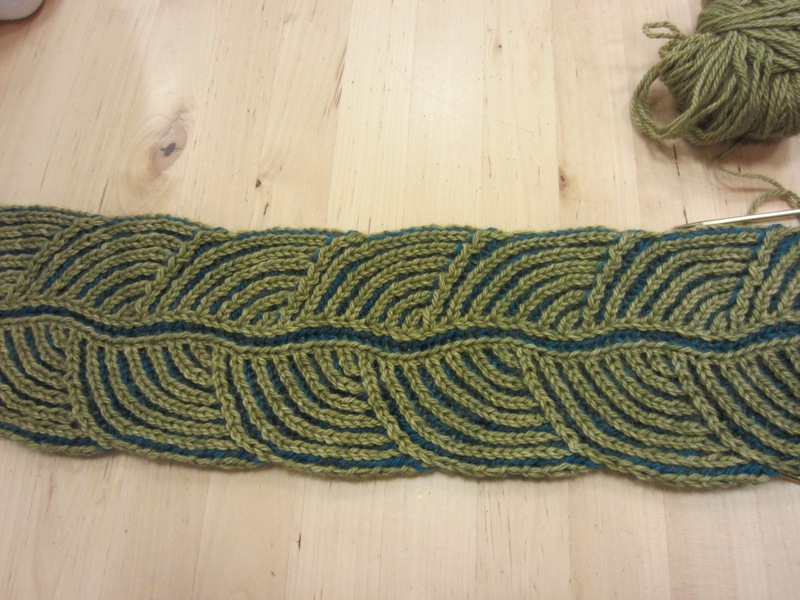 Hosta is a brioche stitch pattern. Nancy Marchant is the author of the definitive book on brioche stitch, Knitting Brioche, and she has a really great website briochestitch.com. 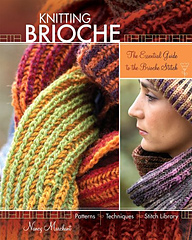 Brioche stitch is not for the faint of heart. I won’t try to explain it here, but suffice to say that it’s a little bit addictive, a little bit difficult, and a lot amazing to look at. Check out Nancy’s website for lots of information and instructions. In the meantime, bask in the loveliness that is Road to China Light.